Complimentary Reserve Tasting for Two and 10% off Select Vintages. 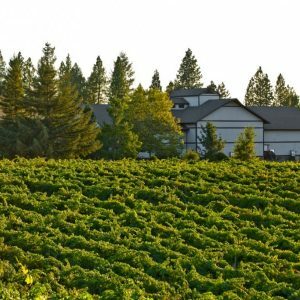 Lava Cap is a small family owned and operated winery dedicated to the production of premium estate bottled wines utilizing only mountain-grown grapes. Perched high above the deep canyon of the American River, not far from where gold was first discovered in California, it sits at an elevation of close to 3,000 feet. The estate vineyards are comprised of 60 acres of vines and over 11 wine-grape varietals and are blessed with an abundance of water, ideal volcanic soil and numerous microclimates. Lava Cap Winery takes its name from volcanic rocks that cap the ridges on which their vineyards are developed. These rocks weather to produce a rich cobbled loam soil that is ideal for growing grapes of supreme quality. Geologist and founder of Lava Cap, David Jones and his wide Jeanne carefully selected this acreage based upon geographic, geologic, and climatologic attributes. Lava Cap mountain-grown wines are characterized by remarkable intensity of color, aromas and flavors. The Jones family continues to run the family business and cultivate the flavors of wine from their farm to your table.